Nairobi (HAN) April 28, 2014 – Editorial Note from the Editor of Geeska Afrika Online. In LAMPEDUSA, Eritrean refugee man who was rescued on Friday said there were over 480 or 500 people at sea, making noises for rescue. “Please go help them,” said the Eritrean, after he was pulled out of the sea by the coast guard. Speaking in English, the Eritrean broke into tears, and said “480 people are going to die.” The Eritrean refugees started out the journey from Libya until their boat sank only about 1 km off the coast of the Italian island of Lampedusa. The island was officially mourning the deaths of children and women. Asha Siad and Roda Siad are Somali-Canadian documentary film-makers, and sent this Opinion Report: The expressions of the eight young Somali men leaning against the wall outside Italian Rome termini station tell a complex story (They call them Ciyaalka Badda or children from the sea), This phrase is used when referring to the young Somali refugees who come by boat from North Africa. They are caught in the midst of a political turmoil. Trapped between one country that disregards their existence and another whose very existence is in question, they struggle to find their place in the world. Asha Siad is a Somali-Canadian who is driven to tell stories about issues and people that are often overlooked. Raised in Calgary, Albert, Canada: LATEST NEWS – Read, and Watch the latest Horn of Africa’s breaking news, Eritrea, Somalia, Ethiopia, Djibouti and their information on the latest top stories, IGAD, business, Security, entertainment, politics, and more. With our HAN & Geeska Afrika Online diaspora correspondents all over the world in the field. Since the collapse of the government over two decades ago, Somalia has become the second largest refugee producing country in the world. In the last ten years, there has been an influx of African refugees and migrants to southern Europe. Using Italy as a mere transit point, their goal is to reach the rest of Europe. However, many do not make it past Italian territory. Due to the Dublin II Regulation, asylum-seekers must wait their application process in the country of first entry. A comprehensive finger print system (EURODAC) alerts immigration officials of illegal migrants in the European Union. This procedure was put in place to prevent the same applications from being examined by several EU member states. With very little social support from the Italian government and a backlog of the asylum applications, refugees often find themselves in a limbo as they spend their days waiting. The problematic nature of the European Union asylum system is that while each member state has the same policies and laws in regards to Dublin II, the practical application of these policies varies from country to country. The results are disastrous for refugees as there have been countless human rights violations across Italy. “On our way here, we travelled on a raft that had three holes for nine days, there were 104 people travelling without food and water,” says Hassan. Outside a small café in Frosinone, Italy, Hassan chats with the group of young Somali refugees he is living with. They talk about learning the Italian language and their plans to migrate to other European countries. Hassan is one of the youngest of the group and is eager to begin his new life. Like many Somali refugees, Hassan fled the two-decade long civil war and left behind his family for the opportunity to get them out of poverty. “I left my family back home in search for a job and some peace,” says Hassan. However, for 23-year old Deeqa, the illusion of Europe has become apparent. “I thought it would be land of opportunities where I could make something of myself and help my family. I see boys and girls suffering here, people are thrown into jail, the pool of agony and discomfort is not worth it. The trouble and suffering that I have experienced on my way to get to Europe was not worth it,” says Deeqa. Most of the Ciyaalka Badda met on a boat from Libya to the Italian island of Lampedusa. Having left behind all they knew, the uncertainty has brought them closer together. 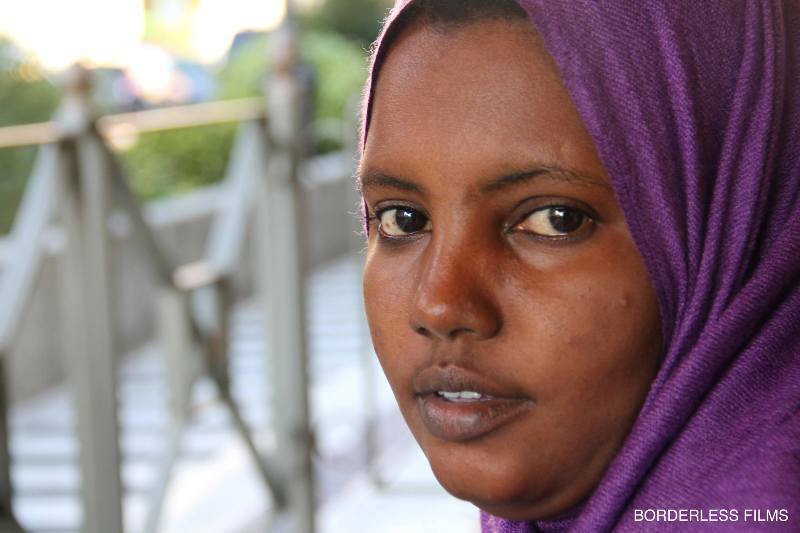 “We are Somali people, it is the norm to converse and talk with one another even if we are strangers, we treat each other like siblings, we are all facing the same struggles,” says Deeqa. These struggles may just be the beginning for this group according to Mohamed, a refugee who has lived in Italy for the last five years. This vulnerable population is exposed to other hardships as the cases of mental illnesses have increased. Some young asylum-seekers have turned to alcohol as a means of coping with their reality. Somali refugees in Italy struggle to even find support from their own embassy. The Republic of Somalia Embassy on Via Dei Villini was abandoned in 1991 after the fall of the central government. Squatters have used the former embassy, from time to time as shelter. The Somali Ambassador to Italy and his staff work out of another space. Many of the young Somali refugees expressed their frustration at the lack of support by embassy representatives. For demoralized refugees who have given up the wait for Italian documents, new challenges emerge. It is impossible to leave the country without a Somali passport. These passports can only be issued by the embassy; however, they cost 150 euros each. When asked why the passports were not accessible to Somali nationals who are desperate to leave the country, employees pointed to the cost of manufacturing the passports in the Middle East. Since it is impossible for these individuals to return the same way they came, this puts refugees (who could barely meet basic needs) in a compromised situation. With news of President Hassan Sheikh Mohamud’s arrival to Italy, as part of a Europe tour, the young group quickly turn their conversation to Somalia. Hassan shares his message for the Somali President. President Hassan Sheikh Mohamud sat down for an interview in late September to discuss the plight of Somali refugees in Italy. When asked about possible solutions to the refugee problem, the president discussed a potential partnership with the Italian government. As for Deeqa, she hopes to be granted legal documents so she can begin working to support her family and bring her children over. She hopes to make something of herself in this new land. Each year, thousands of refugees and migrants make the perilous journey from Africa to Europe. Previous articleKenya: How can you win a war on terror when yours is terrorism?